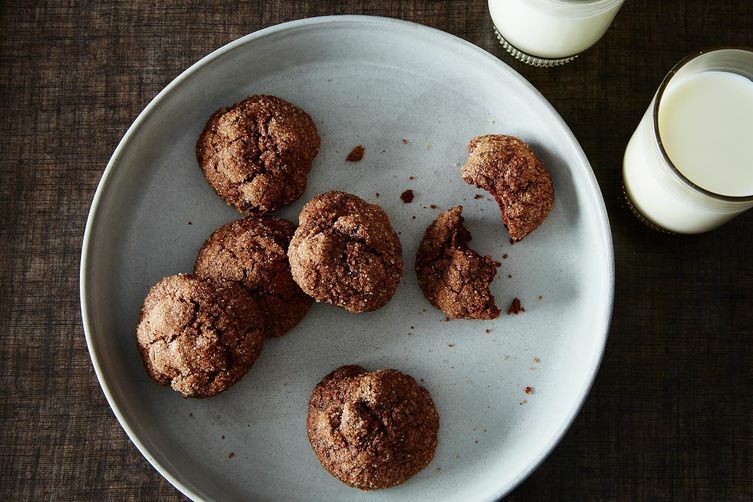 Today: Gluten-free cookies don't need to be dense hockey pucks or crumbly messes -- here's how to get them right, just in time for the holidays. As far as baking goes, cookies are easy: There’s no risky bain marie or smoldering hot caramel, no worrying about your dough not rising. You just mix together some butter, sugar, eggs, and flour, form your dough into cute little shapes, bake them, and then eat a few too many while they are nice and warm. More: Alice Medrich's gluten-free Russian Tea Cakes are interesting in only the best ways. Unfortunately, no single gluten-free flour will perform as well as ordinary all-purpose flour. A cookie made with just rice flour will be too cakey, while one made with only almond meal with be too dense. To mimic wheat flour, you will need to mix flours of different densities with a bit of tapioca or potato starch to lighten it up; the recipe below is a good place to start. 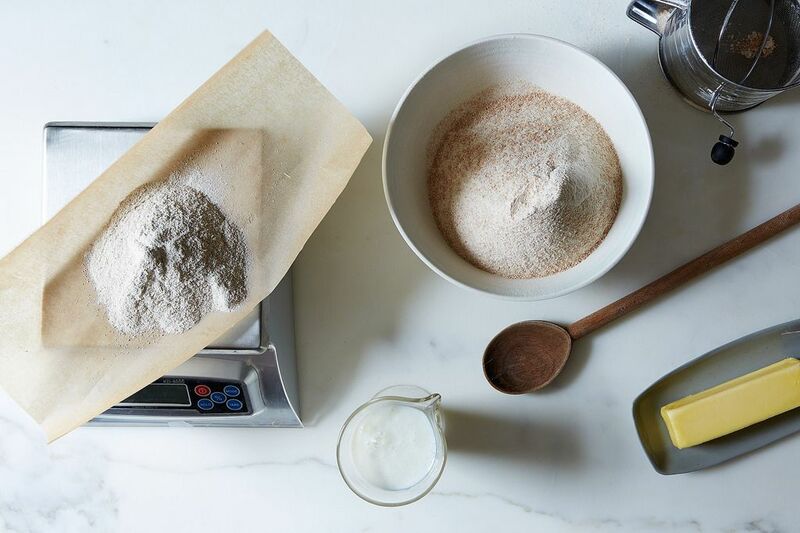 More: Baking with a scale will change your life -- here's why. It might sound scary, but xanthan gum is key for successful gluten-free baking. It helps bind together the ingredients, preventing your cookies from falling to pieces. Be careful to not use too much; no one likes gummy baked goods. Like serving booze at awkward family gatherings, refrigerating your dough will make your cookie experience much more pleasant. Chilling helps the flours and xanthan gum absorb liquid, which makes the dough sturdier and easier to handle. Without a proper rest, your cookies are likely to crumble. Think of mix-ins as the Spanx of the cookie world. They are a sly way to ensure that your cookies look like cookies, not misshapen gluten-free blobs. They give some structure to your dough, preventing it from crumbling. Fold in whatever you like: chocolate chips, dried fruit, chopped nuts. They add texture and variation, but also take the performance pressure off your plain dough. And really, do people complain about finding chocolate chips in their cookies? 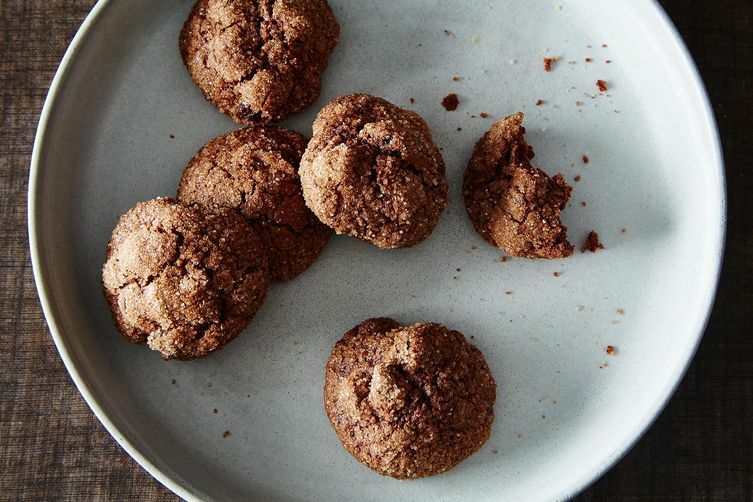 These spicy chocolate cookies are a fun way to add some excitement to your cookie plate. A little bit of chipotle powder adds a subtle kick, while a hefty amount of chocolate makes them crowd-pleasing. Do you have any special tricks for gluten-free cookies? Tell us in the comments! I have no idea whether your recipes are good - yet (first time visitor) - but I'm pinning to keep track of this page because I love your writing style and sense of humor (almost as much as I love cookies.) Thanks for sharing. I've been using Cup4Cup Flour blend in my gluten free baking projects for years. Its a 1:1 substitution for all purpose flour and produces amazing gluten free goods! Unfortunately, xantham gum is not everyone's friend. Some celiacs (like me) and people with corn allergies can't handle it. Guar gum is a decent substitute. I would just recommend weighing the flours and then using cup/tablespoon measurements for the other ingredients. The precision is important for the flours, but less so for the other ingredients. I'm European - we weigh just about everything for baked goods (fats, chic. chips - the lot!) and don't have cup measures! I'd love to try these but I'm a bit confused with the mix of measures used. I'm happy with grams and can convert the ounces to grams, but what does a tablespoon of butter weigh or a cup of raisins / choice chips?! there are many volume to weight converters online. Google is your friend!